Eurodollar is still moving sideways. The market hasn’t been able to reach a correctional retracement 78.6% and rebounded downwards very fast. 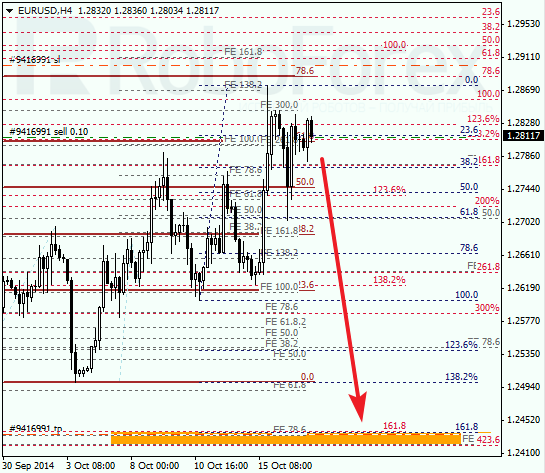 The target is still the group of lower fibo-levels at 1.2435 – 1.2425. As we can see at the H1 chart, the situation hasn’t changed. The lower targets are confirmed by additional retracements. I’ve got one sell order so far, but I’m planning to increase my position after the market breaks retracement 38.2% (1.2690) downwards and stays below it. 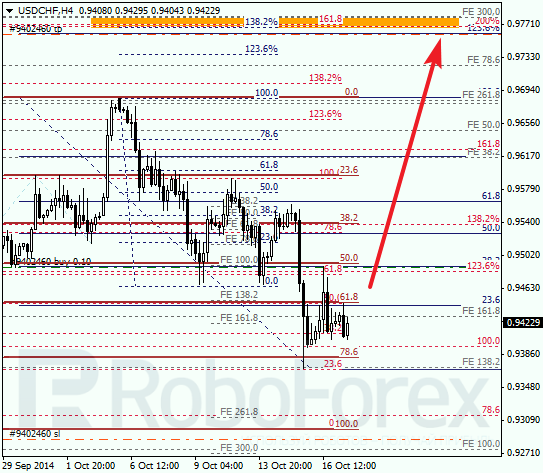 After rebounding from retracement 78.6% and several less important levels, Franc has started consolidating. The target is still the group of upper fibo-levels. Possibly, after reaching this target area, the pair may start a deeper and more serious correction. 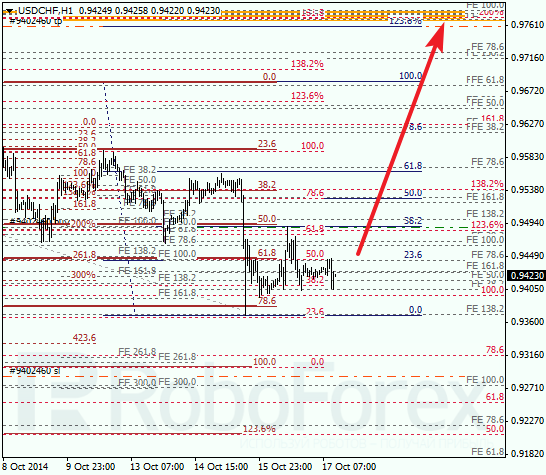 At H1 chart, we can see that the predicted target area is confirmed by several additional retracements. I’ve got only one buy order right now, but I’m planning to open another one after the market breaks a local high (0.9560).